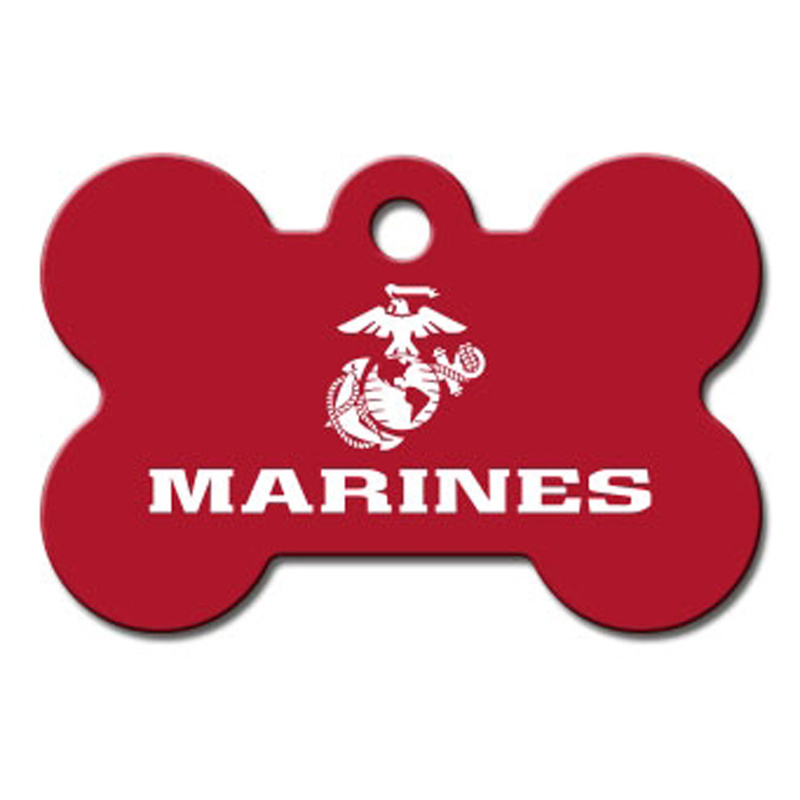 Show your love for your pet and your country with a U.S. Marines Engravable Pet I.D. Tag Large Bone! The Bone Large Engravable Pet I.D. 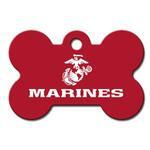 Tag with the Marines will ship to your door, ready to use. Don't let your pet leave your house without I.D. so they know how to get back. Made with a brass metal base then painted on front and back. Look for other charms to enhance your tag bling. Made in the U.S.A.
Posted On 09/27/17 by Clare B from san diego, CA Yes, Clare B recommends this product! I am a Marine wife and therefore my two dogs are Marine dogs. I have ordered 4 of these so far. I ordered one about 6 months ago when my first dog was a puppy and he has worn it out so much that I ordered him another one. When we got our second puppy I ordered him the small bone and I know he will outgrow it as he is a Pitbull. So of course I had to order him a big bone tag for when he grows up.